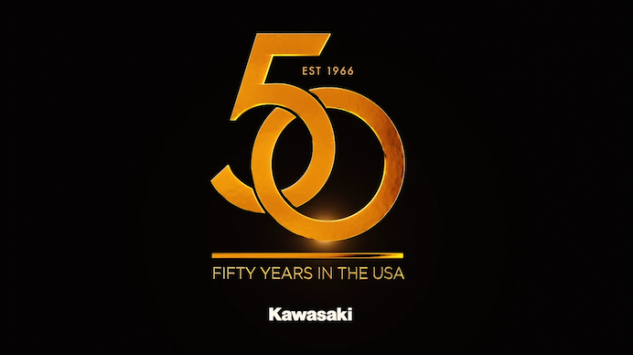 Happy 50th Anniversary Kawasaki America! On March 1, 2016 Kawasaki celebrated 50 successful years of operation in the USA . To commemorate the anniversary, KMC sent the following press release, and will continue sending occasional press releases showcasing its history. This first edition showcases KMC’s humble beginnings not in California, but in old-town Chicago. From Kawasaki: 50 years ago, on March 1, 1966, American Kawasaki Motorcycle Corp. (AKMC) opened for business in Chicago, with a modest sales office at 208 South La Salle Street and a two-story parts warehouse at 2860 North Lincoln Avenue. Formerly the site of a meat-packing plant, the warehouse needed serious renovation, but the price was right for a company trying to gain a toehold in a vast new country. Welcomed by Tony Watanabe with Ted Tazaki, who led the charge to establish the Chicago office, just 50 people attended the grand opening, held at the nearby Continental Hotel. But it was the right crowd, including the banks, trading companies and distributors that would support the company’s early efforts in America. Today KMC has nearly 1,100 dealers in all 50 states and offers a wide range of products in five categories, including streetbikes, off-road motorcycles, ATVs, Mule utility vehicles, and Jet Ski personal watercraft. Many of the 4-wheel product and personal watercraft are assembled at Kawasaki Motors Manufacturing Corp., U.S.A. in Lincoln, Nebraska.